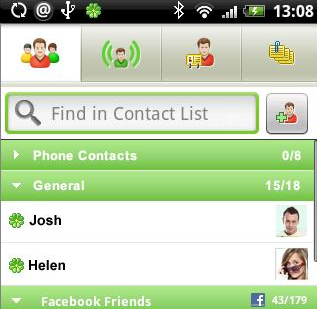 ICQ has been compatible with the AIM protocol since 2000. It has also been supported by a multitude of multi-network chat clients, such as Pidgin, Digsby, Adium, Meebo, and Trillian for a long time. However, it's nice to finally see the official app show up, supported by the core developers. Overall, it's a very light-weight, fast, and simple client, though polished enough to be usable on a daily basis.